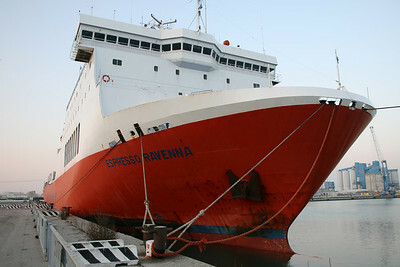 F/B ESPRESSO RAVENNA : funnel with Adriatica Division logo. 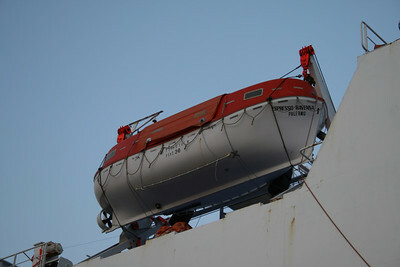 F/B ESPRESSO RAVENNA : lifeboat. 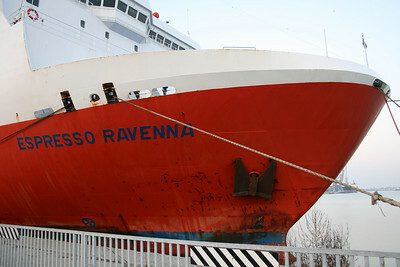 F/B ESPRESSO RAVENNA moored in Ravenna. 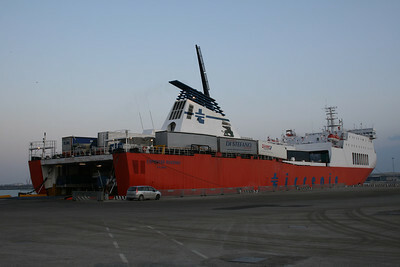 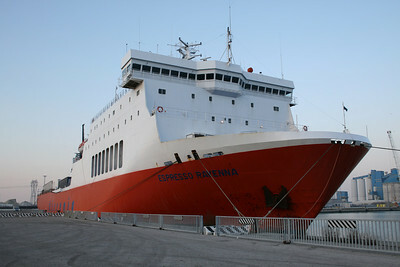 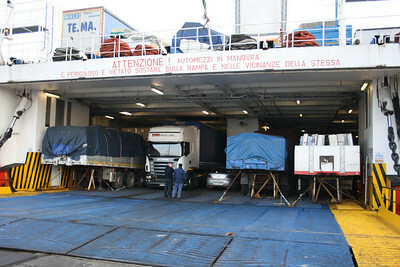 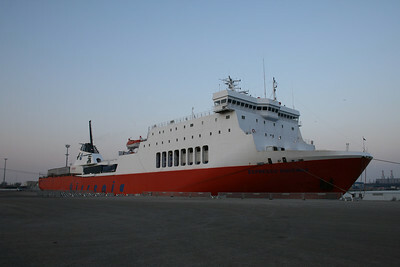 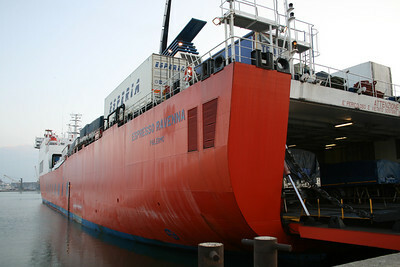 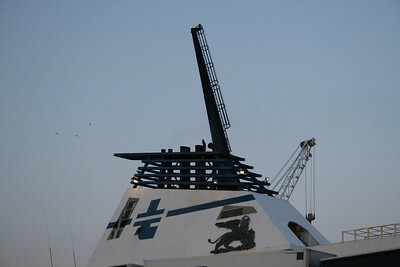 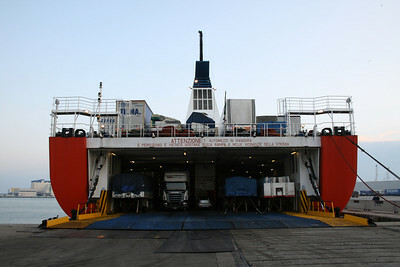 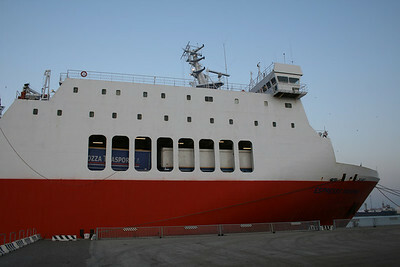 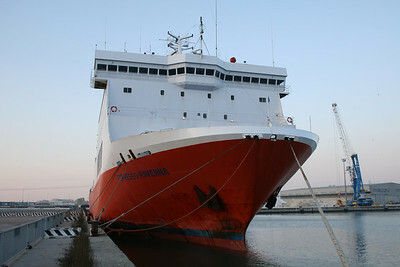 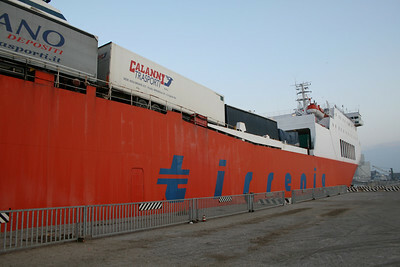 F/B ESPRESSO RAVENNA moored in Ravenna : full load ready to depart to Catania.